Almond blancmange in a merry-go-round 🌱 – Mums! I’m really into kitsch. That’s why I couldn’t resist buying this adorable cupcake merry-go-round. I didn’t need it at all (since I already have a cupcake Ferris wheel). But it was love at first sight. The merry-go-round is not only suitable for presenting cupcakes, but also for displaying individual deserts. For instance, almond blancmange. My first contact with almond blancmange was through a German cooking magazine. The recipe was simple: Take a sachet of almond blancmange powder and prepare it according to the instructions on the packet. I thought it was ridiculous. Attempted to try cooking a decent almond blancmange, I came up with what turned out to be a vegan recipe. For the blancmange, bring half a liter of almond milk, 100 g almond flour, 1 tsp vanilla extract and 100 g white chocolate (and a dash of amaretto for an adult version) to simmer. Solve 2 tbsp corn starch in some almond milk and add it to the mixture. Allow the blancmange to thicken, place it in your preferred serving dish and set aside to cool. Prepare the merengues by whisking the chickpea water of one can of chickpeas and 1 tsp vinegar until stiff. Gradually add 1 dl caster sugar. For a yellow marble effect, mix grounded turmeric with some orange juice and carefully paint the walls a piping bag. Add the merengue and pipe tiny summits on a baking tray. Bake for approximately 75 minutes in a 100º C hot oven. Turn off the heat and let the merengues dry for another 45-60 minutes in the oven with the door slightly open. Puree a mango. If sweetness is needed, add some agave nectar. Top the almond blancmange with mango puree, vegan merengues and edible spring flowers. fine dining at its lovliest! That sounds like a lovely dessert. 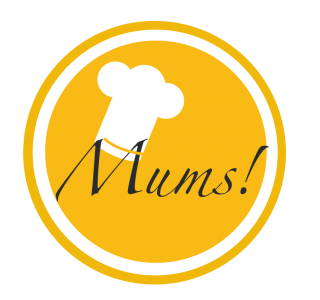 Pingback: Coconut blancmange 🌱 – Mums!